The fat three-ridge mussel is a freshwater mussel found in the Apalachicola River in Florida, and the Chipola River in Georgia. It is a medium-sized to large mussel with a dark brown to black shell, usually measuring less than 4 inches long. The shell of adults is heavy and often very inflated. The outer surface contains seven to nine parallel ridges, and the inner shell is very colorful with colors ranging from bluish white to light purple. These mussels prefer medium-sized streams to large rivers with sandy or gravelly substrates for their habitat. They are usually found in areas that are free of silt that is generally swept away by the current. Young mussels are born as "glochidia" (larvae) until they undergo metamorphosis into mussels. As larvae, they develop by attaching themselves to the gills of fishes for a short life as parasites. The process is further complicated because not only do the glochidia have to find a fish, but it has to be one of several fish species for the life cycle to continue. It is not currently known what particular fishes are appropriate host fish for this species, but researchers believe that it may parasitize several species of the minnow family (Cyprinidae) or species of the sunfish family (Centrarchidae). As mussels, fat three-ridge mussels attach themselves to the river floors and feed on plankton and detritus that they are able to filter from the water using specialized regions of their shells. The water is filtered over the gills and the food particles become trapped and eventually digested. Unwanted water is then pushed back out another siphon-like region of the shell. To reproduce, males release sperm into the water when the current is strong enough, allowing the sperm to travel and reach the eggs inside the shells of females. The fertilized eggs then develop into glochidia and grow inside the gill of the female until released into the water. In order to completely develop as mussels the larvae must find the host fish and attach themselves to the gills. Recent surveys indicate that this species may have been completely wiped out in Georgia during the last 20 years. The last live specimens were seen in 1996 in the Apalachicola River. Causes of decline may include sedimentation, habitat degradation, pollution, and disappearance of the required host fish. It is also believed that this species competes with the introduced Asian Clam (Corbicula fluminea). 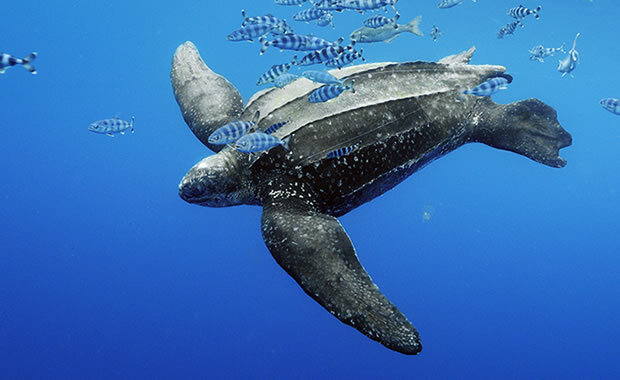 This species is now protected both by federal and state law. Other possible conservation efforts include protection, improving, and monitoring all remaining habitat. Copyright Notice: This article is licensed under the GNU Free Documentation License. It uses material from the Wikipedia article "Fat threeridge". Glenn, C. R. 2006. 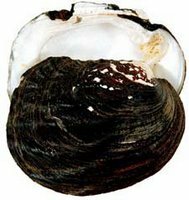 "Earth's Endangered Creatures - Fat Three-ridge Mussel Facts" (Online). Accessed 4/25/2019 at http://earthsendangered.com/profile.asp?sp=903&ID=9. Need more Fat Three-ridge Mussel facts?